This shop has the prettiest handmade creations for topping cakes. 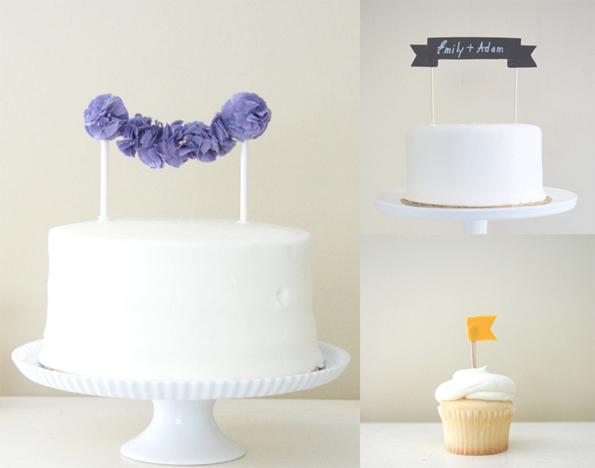 (above: pom garland, chalkboard banner, and cupcake flags). those are so fun. pretty too! so adorable! love the colors and the festivity it adds to these desserts! the pom garland topper is amazing!! it's so sweet and pretty.